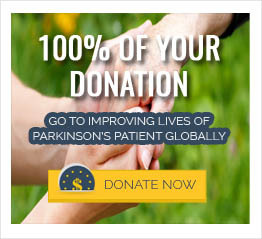 Does Iron supplements can exacerbate Parkinson’s disease? There is some suggestion that free radicals made by iron can worsen Parkinson’s disease by furthering damage to neurons. After iron is ingested, it is absorbed into the blood and bound to the protein transferrin. Transferrin travels through the blood and binds to specific receptors on certain cells—including the neurons in the substantia nigra. Once bound, the transferrin-iron complex is transported into the cell and broken apart for storage. As the pigmented granules within these neurons are lost, producing the pathognomonic de-pigmentation of the substantia nigra seen in Parkinson’s disease, unbound iron is released. If this comes in contact with the naturally-occurring reactive oxygen species within the mitochondria of the billions of neurons, there is potential to make free radicals of the iron molecules. If this unnatural iron species goes unchecked, it will readily damage cellular components. Drugs like rasagiline may be effective in reducing excessive iron from the damaged neurons by both chelating iron stores and blocking the enzyme monoamine oxidase b (MAO-B). This permits less free radical reactions to occur and will serve to retard the degradation of neurons and consequently the development of Parkinson’s Disease.